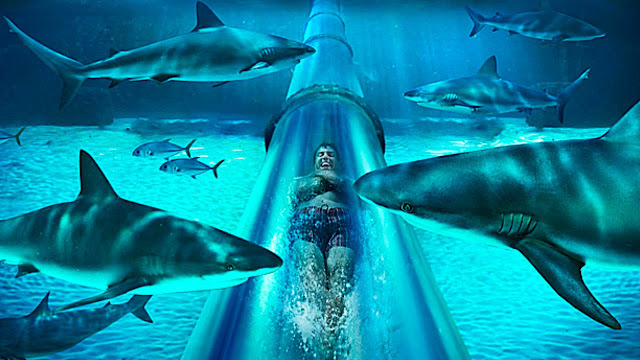 Most Insane Waterslides In The World | Do You Know? Getting an adrenaline high is something we can all relate to. We all have moments that give us that adrenaline rush, which is an experience like no other. There is that moment when your heart seems to have stopped beating, and then goes into overdrive. 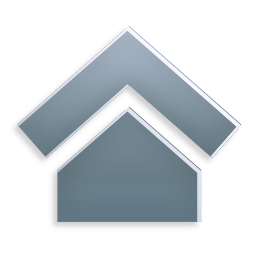 Taking risks is what gives people the rush, be it driving at insane speeds or walking on the ledge of tall buildings. Amusement parks are one such source of fun that are easily accessible to the general public. These are some of the craziest, coolest and innovative water slides in the world, that you can plan to visit. The Summit Plummet water slide at Blizzard Beach in Walt Disney World has a high-speed, very intense water slide with a height of 120 feet and a top speed of around 50 mph (for kids) and 60 mph (for adults). 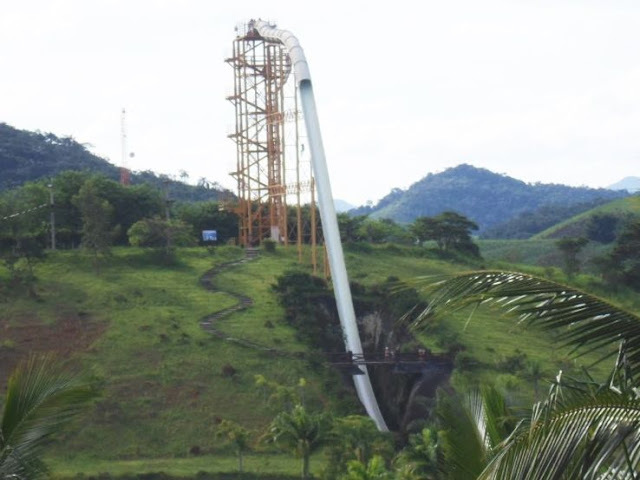 The world’s tallest water slide at over 130 feet as tall as a 14-story building will give you a great view of the Atlantic Ocean while you climb up there. The feature of this slide is that it passes through a pool filled with sharks. The glass you pass through is strong enough to protect you from hungry jaws. The rider on Kilimanjaro drops from a height of 164 feet, the second highest in the world and accelerate to a speed of 62 mph. 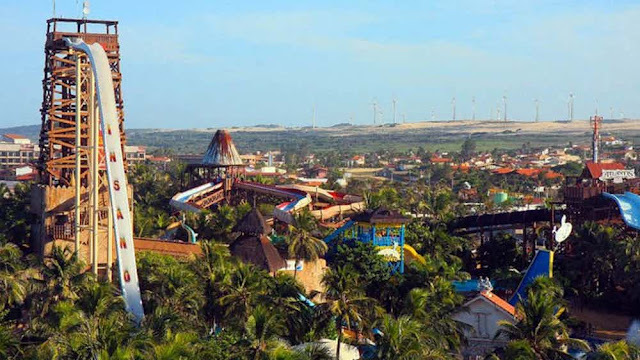 The ride was built in 2012 and can give you an awesome experience doing a 360-degree loop on a water slide. You have to be really brave to take this ride. 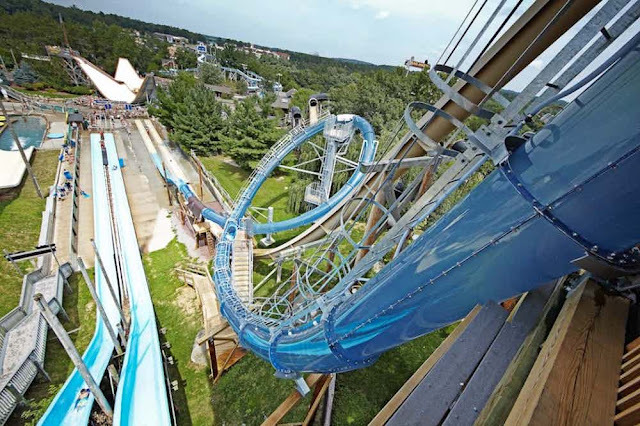 This water slide is a part of the world famous Wisconsin Dells in Wisconsin, USA and is spread in the 70-acre park. 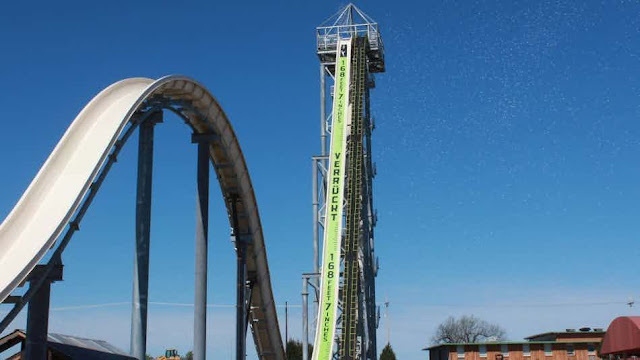 It is ten stories tall, 400-feet long, and the first drop will rocket you to a speed of more than 50-feet per second! The Verrückt in Kansas City is the world’s tallest water slide at 168 feet high. It is as tall as a 17-story building with 264 steps to get to the top. 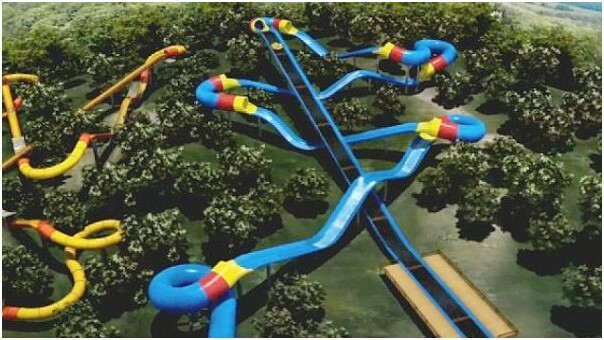 Mammoth broke the world record of Wildebeest as being the longest water slide in the world in 2012. At 1761ft in length, it takes a whopping 3 minutes to complete. 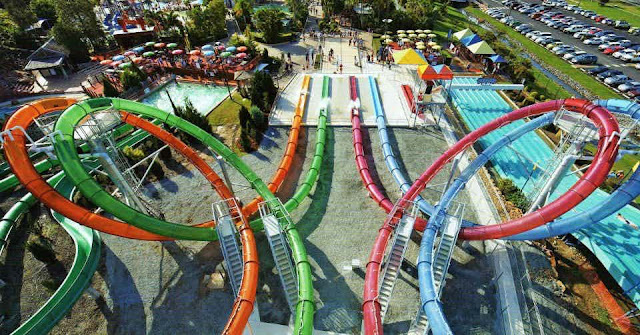 If you’re into long waterslides, head to Holiday World & Splashin’ Safari to ride the two longest ones in the world!